He is now a Civil Service Commissioner, appointed by the Crown to maintain the principle of fair and open recruitment to the UK Civil Service. He is also Chairman of Frimley Park Hospital NHS Foundation Trust, and a non-executive director of Oxford Policy Management Limited, a development consultancy firm based in Oxford. 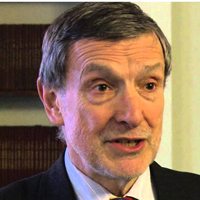 Mike is a founder member, and from 2001-2008 was Chair of the Board, of the Centre for Humanitarian Dialogue, a Geneva-based private foundation working to improve the international response to conflict, in particular through independent mediation. Since January 2004 Mike he has been a Visiting Fellow of Nuffield College, Oxford. In September 2008 he was appointed an Honorary Visiting Professor and in May 2011 a Professorial Research Fellow in the Department of Politics at the University of Surrey, where he is also Co-Director of cii - the Centre for International Intervention. He is a Senior Adviser to NATO, working on the political/military aspects of NATO transformation, and is an occasional lecturer at the UK Defence Academy on civil/military collaboration in conflict situations.